Barcelona officially announced that Alex Abrines is no longer part of the team and that he will continue his career to the Oklahoma City Thunder. Barcelona officially announced that Alex Abrines is no longer part of the team and that he will continue his career to the Oklahoma City Thunder. 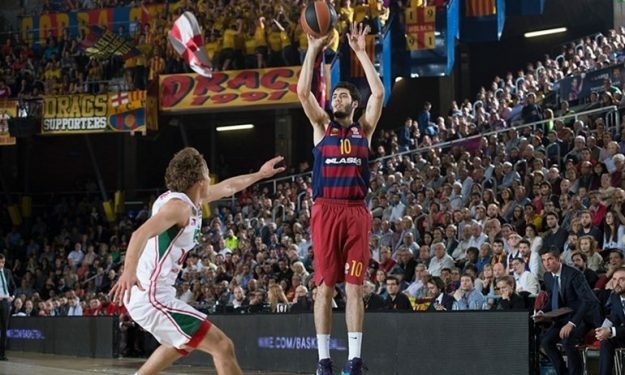 The Spanish swingman will sign a three-year $18 million contract with the team, as Eurohoops reported yesterday. Meanwhile, the Spanish federation confirmed that Abrines is leaving the camp of the national team and will be ready to “return after a few days”, since the player is expected to travel to Oklahoma and complete the formalities of his deal with the Thunder. Hence, the reason he was not used yesterday in the preparation game of Spain against Lithuanian, was to be protected from a possible injury.